At WWDC 2015, Apple announced the transition to IPv6-only network services in iOS 9. Starting June 1st 2016 all apps submitted to the App Store must support IPv6-only networking. Therefore, Unity3D posted Unity and IPv6 Support in response to this since many developers publish Unity games to the App Store. IPv6 (Internet Protocol version 6) is the most recent version of the Internet Protocol communications protocol that provides identification for computers on networks and routes traffic across the Internet. Therefore, Apple's new requirement means that apps must be able to operate on an IPv6-only network! As an example, suppose that you have a typical client / server networked game that uses the Lidgren library as the networking layer to communicate messages from the client to the server and vice versa. Look for IPv4 addresses (e.g. 127.0.0.1, 8.8.4.4). Any hardcoded addresses should be removed. Prefer host names: use to look up IPv4 or IPv6 address of device for the proper type of network. Look for the use of the IPAddress.AddressFamily property. Any code that branches based on the value of the AddressFamily must ensure the code handles IPv6-only networking option properly. Look for the use of IPAddress.Any and IPAddress.Loopback fields. These fields work with IPv4 addresses not IPv6. Use IPAddress.IPv6Any and IPAddress.IPv6Loopback for IPv6 compatibility. Fortunately, a Lidgren pull request has been submitted by jens-nolte to implement IPv6 Dual Mode, that is, upgrade Lidgren library to support both IPv4 and IPv6 network connections in client and server code. However, all C#/.NET code in pull request is based on .NET Framework 4.5 whereas Unity uses Mono 3.5! Therefore, implement the server as Dual Mode but the client must detect at runtime either IPv4 or IPv6. Let's implement the server first [Dual Mode] as is easier + simply requires .NET Framework 4.5 (above). Channel all network connectivity through IPv6. If IPv6 then leave otherwise map IPv4 address to IPv6. Let's implement the client: detect network connectivity from IPv4 or IPv6 at runtime and inject either AddressFamily.InterNetwork | IPAddress.Any into Lidgren for IPv4 or AddressFamily.InterNetworkV6 | IPAddress.IPv6Any for IPv6. Create custom class to store the IPAddress and AddressFamily from IPv4 or IPv6 and inject at runtime. Note: if you are on an older version of Unity e.g. Unity4 then you must upgrade to Unity 4.7.2f1. If you use .NET / IL2CPP libraries, e.g. to support 64-bit architecture on iOS, then upgrade to Unity 4.7.2p1; Especially if ReceiveFrom() method is used on the Socket otherwise sender remote becomes corrupt! Finally, remove any code referencing the LocalEndPoint property on the Socket otherwise an exception will be thrown. Again this is if you use IL2CPP scripting backend to support 64-bit architecture on iOS. The corresponding code will not work on Android platform with Unity4: a SocketException will occur as Unity Technologies explicitly decided not to back port these changes. More information is available here. 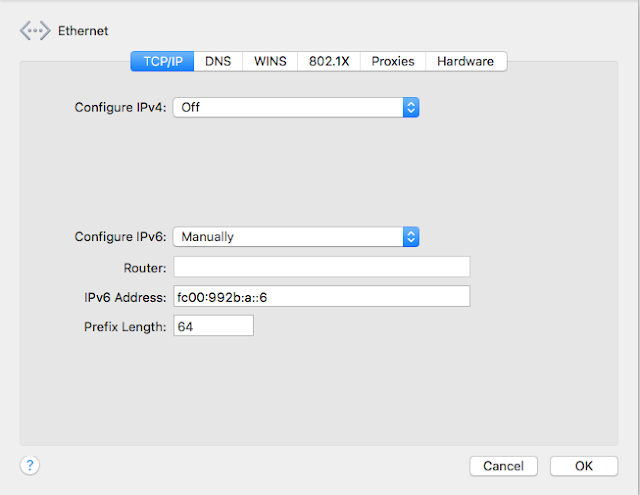 Finally, create an IPNetworkManager to get the host address for the IPProtocol type and resolve the DNS. Apple recommend the easiest way to test for IPv6 DNS64 / NAT64 compatibility, which is the type of network most cellular carriers deploy, is to set up a local IPv6 DNS64 / NAT64 network with your Mac. At the time of this writing, Lidgren uses IPv4-only specific APIs to communicate all networked messages. These APIs are built into .NET Framework 3.5 and therefore can currently be accessed from within Unity. However, to access IPv6-only specific APIs from within Unity [Dual Mode] requires .NET Framework 4.5. The .NET Profile Upgrade is currently on the Unity roadmap for this functionality although there's no ETA!